Indoor cycling workouts are perfect for me. Whether it&apos;s Soul Cycle or Peloton, I know I can get a killer workout in just a short amount of time. It&apos;s not a mystery why so many working moms flock to these studios or buy in-home bikes. Now I&apos;ve found a great accessory from Garneau and Reebok called the Actifly, it&apos;s the perfect indoor cycling shoe. I&apos;ve always hated using the shared shoes at the studios. There&apos;s just something gross about all the foot sweat that accumulates in those shoes. Yes, I know they clean them, but really, they are never THAT clean, are they? It&apos;s about time I invested in my own shoe that can go into my indoor cycling bag and take to my favorite studios (I&apos;m still on the fence about getting one for my home). When I heard that Reebok had a new show out, I definitely wanted to take it for a spin. Reebok teamed up with a cycling powerhouse. Actifly uses the latest technology from Garneau - a global leader in cycling design and products. 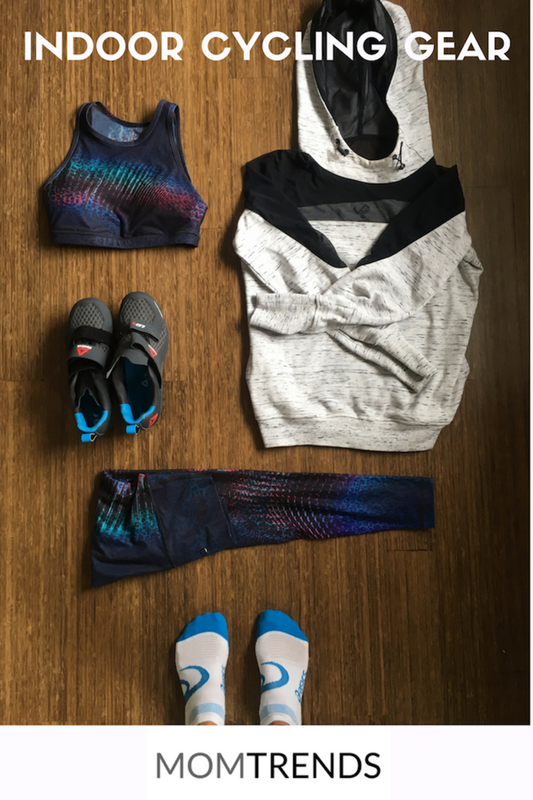 What Reebok adds is comfort and breathability (we expect this from their running shoes). 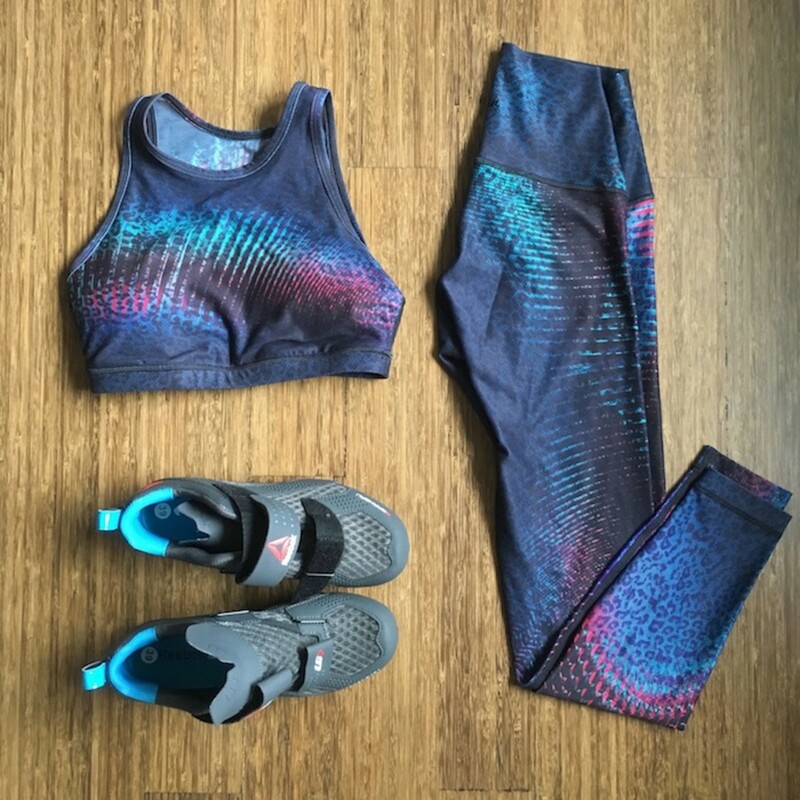 Together the two brands have designed a shoe that sees me through my workouts with support and style. True to size (I wear an 8), the shoe is easy to slip on. I found the shoe supremely comfortable. NO blisters! Unlike the shoes I normally get from Soul Cycle, I found these to be MUCH MORE BREATHABLE. One note: I did need to buy cycling shoe cleats when I was at Peloton. Cleats attach to your cycling shoes and allow you to clip-in to your Peloton bike. It was a little strange that the cleats ($12) didn&apos;t ship with the shoes. A very nice person from Peloton sold me the cleats and then installed them on my shoes. They have a moisture-wicking microfiber which prevents moisture build-up and keeps your feet from getting too hot. What about the stinky foot issue? The Actifly has synthetic leather and mesh with anti-bacterial and anti-odor treatments. Good news for your gym bag! These shoes are meant to be your work horses. If you cycle 5 days a week, they can be there to support you. My "road test" at Peloton was great. Once I had the cleats, they clipped right into the bike and I was off and cycling. They were super easy to clip off too. 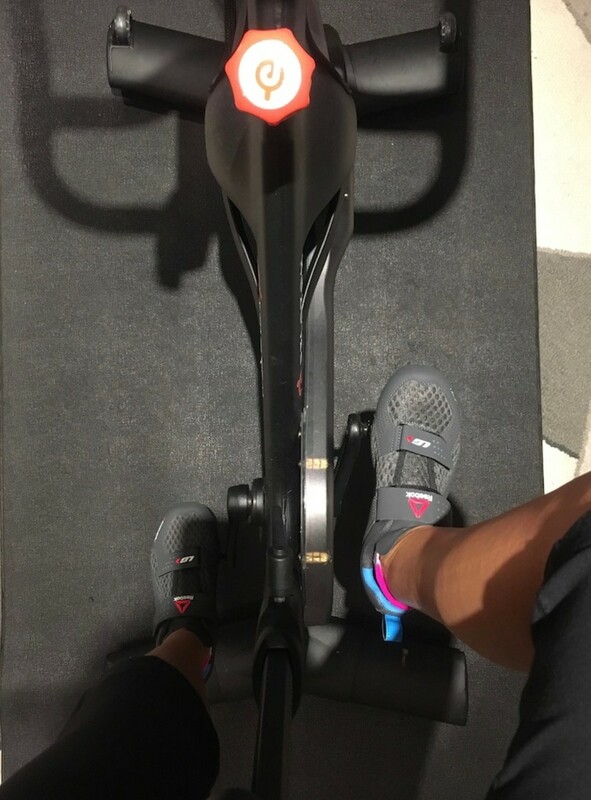 "We believe there is a need in the market for a shoe designed specifically for indoor cycling,” said Kelli McKenna, Head of Reebok Licensing. “Partnering with a leader in the cycling space like Louis Garneau allowed us to create a lightweight and breathable shoe that combines features important to cyclists but also performance attributes expected by Reebok&apos;s fitness consumer." As a mom, wife, and boss, I know the importance of making time for yourself. If you always come in last, everyone loses. Moms, make time for your workouts - if there was one common thread in many of my interviews with successful Mom Bosses, it was that they made exercise fit in SOMEHOW. Maybe a perfect indoor cycling shoe is the thing that will motivate you! Whatever it takes, make time for YOU! This Perfect Indoor Cycling Shoe review is not a sponsored post. I was given a sample to test at a cycling studio.